The Surprise Saguaros continue to punish the baseball, coming back from a seven-run deficit to edge Glendale in 10 innings Thursday. 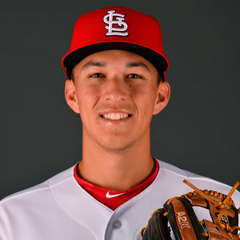 Leadoff man Tommy Edman was on base five times, drove in one, stole two bases and scored. Results from the game played Thursday, October 11th. The Saguaros (2-1) rallied from a seven-run deficit to top the Desert Dogs, 10-9, in 10. The Surprise offense has racked up 29 runs in their first three AFL games. 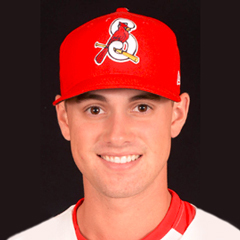 St. Louis’ Tommy Edman did exactly what a lead-off batter is supposed to do, get on base. The second baseman reached base five times, going 2-for-4 with three walks, a run scored, one driven in and two stolen bases. TCN’s Springfield co-Player of the Year was one of five Surprise players with two hits apiece and defensively, took part in one of his squad’s two double plays. Jeremy Martinez garnered one of the Saguaros’ final two hits, singling once in four at bats with two strikeouts and reached base once via a hit-by-pitch. After being plunked in the eighth, the number eight batter left the game for a pinch runner who subsequently scored. 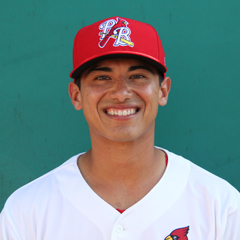 Normally a catcher, Martinez played his first official career game at first base, late in his third professional season. Lane Thomas was hitless in four at bats as his team’s designated hitter but did reach base twice via free passes. Thomas swiped his first bag of the AFL campaign, one of six stolen bases by the Saguaros. It took six Surprise pitchers to navigate the game’s 10 frames, with most coming from the Texas organization. The Rangers’ Tai Tiedemann and Joe Barlow combined for eight tallies allowed in 4 2/3, putting their team in an 8-1 hole through five. But the next trio of hurlers held Glendale over the next four innings while the Saguaros bats erupted for three in the sixth and four more eighth-inning scores, sending the game into extras. Surprise pushed across two unearned runs in the visitor half of the 10th to give lefty C.D. Pelham (TEX) his first win. Royals righty Grant Gavin was credited with his first save despite yielding an unearned tally.